Your choice of what to paint on can alter the working properties of the paint and give you a different painting experience but it needn’t be a mystery, if you follow a few simple rules. 1. Acrylics straight from the tube are the most flexible medium, so can be painted on anything – paper, canvas, cardboard, metal…literally anything. 2. Oils are more tricky, so have to be painted onto a properly prepared surface (see: The Trouble with Oil) I recommend a prepared canvas or prepared board. 3. Watercolours work best on paper, I recommend Cold Pressed paper (confusingly also referred to as NOT paper meaning ‘Not’ Hot Pressed). It’s ideal for less experienced painters as it’s more forgiving. (There is a huge range of Watercolour papers see: How to choose Watercolour Paper). When I’m building up an acrylic painting, I usually work from thinner diluted layers in the under-painting stages, up to more impasto thicker paint layers in the final stages of the painting. Fat over lean means that each succeeding layer of paint should have more ‘fat – oil’ than the preceding layer. 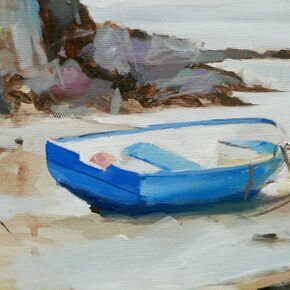 If you are painting in an indirect method (working in layers rather than all in one go – Alla-Prima) you need to adhere to this rule to prevent cracking and give the painting a good structure in your oil paintings. I follow this same practice with many of my acrylic paintings. Because the thinner watery washes at the underpainting stage create a really nice matt paint surface for the blocking-in stages. Then the subsequent layers, which are slightly thicker (less diluted) will absorb and ‘grab’ nicely into the layer below. With thin layers at the beginning of a painting, you can tweak your drawing and colours and then start painting thicker layers when you’re more confident the painting is coming together. Before we go any further, I want to draw your attention to the most important factor to consider when working with watered-down Heavy Body Acrylics. If you applied thick acrylic paint, straight from the tube to practically any surface, it would stick. However, when acrylics are diluted with water you need to take into account the absorbency of your support to get the best results. When I say ‘support‘, I’m talking about your canvas, paper, canvas board or even a plastic panel you intend on using. All of these surfaces have different absorbency levels which will have a direct effect on the way the paint behaves when water is added. 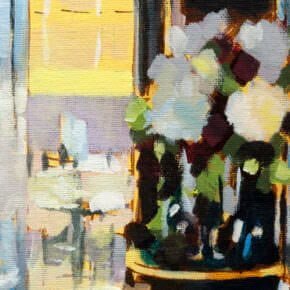 The most common questions I receive on this subject are from students fearful that watered-down acrylics will harm their paintings in the long run, usually thinking the painting will ‘flake and fall off’. To be clear, watering down acrylics with water is not a problem if the surface absorbency level you choose to paint on is considered. If you think about Watercolourists, they sometimes dilute their paint 50:1 water to pigment, but they choose an rag watercolour paper that has been designed to absorb the watery paint effectively and hold the pigment when the water evaporates. So if you think about how diluted you’re going to be applying the acrylics and then choose or prepare your surface sympathetically to that style of painting. Below is a general guide to the absorbency level of a few common painting surfaces. Most beginners pick up a ready-made canvas board from their local craft/art store because they’re small and relatively inexpensive. These can be fine for experimenting on but the drawbacks are they have an imitation canvas surface that can be really slippy to paint on. Acrylics straight from the tube or slightly watered down (5-10%) will adhere to them fine. But if watered down more (30-50%) the paint will tend to sit on top of the board in beads, taking ages to dry – and then when the next layer of paint goes on, it can disturb the fragile paint surface underneath. This is because the first watery layer didn’t grab or absorb fully into the board. 1. You can get around this by painting a couple of thin layers of Acrylic Gesso on first, to give a more absorbent base. 2. You can add a few drops of Acrylic Flow Release into your water, this will break down the surface tension of the paint and stop it beading. Acrylic Flow Release is a surfactant. A surfactant is a concentrated surface-active liquid which reduces surface tension. It dramatically reduces the surface tension between the stain (paint/water) and the support. Certain supports are inherently water repelling in nature and require the use of such a surface-active agent to allow the stain to wet and penetrate into the support. Mix 1 part Acrylic Flow Release to 10-20 parts water. Use this mixture whenever adding the Flow Release into a paint system. When painting on non-absorbent surfaces (not staining), do not exceed the level of 3% Acrylic Flow Release/water mix in the paint to minimize water sensitivity. For staining applications on absorbent surfaces, higher levels of Flow Release may be used as it will be absorbed by the support. Use Flow Release to pre-wet canvas or paper to increase the staining or spreading capabilities of the paint. Some of the pre-primed gesso boards I find very hard and repel watery washes, however, if you’re painting with thicker paint they can work well. You can see a collection here. The unprimed panels can be good because you can control the surface absorbency by adding your own Gesso, just like with the canvas boards. Ready-made canvas can be pretty good but the really cheap ones can be paper thin, have no texture to them and are prone to buckling on the surface if you add a lot of water. Using a reputable brand like Winsor & Newton or Daler Rowney ensure a better quality of surface to paint on and have a bit more texture to the canvas. The texture helps pull the paint off your brush and gives a lovely dry brush effect. The best canvas is anything above 12oz in weight this helps ensure less movement in the canvas. The thicker the canvas the more absorbent because it can hold more water. You can paint on decent weight watercolour paper with acrylics very successfully, it can take the watery washes and the thicker impasto brushmarks too. If you want to paint on ordinary craft paper, consider the thickness and robustness and adjust your dilution level of the acrylics accordingly. So what do I paint on? The other concern students have when using water to dilute acrylics, is in relation to the paint film integrity. Will using too much water to thin the paint run the risk of the paint not adhering to the canvas over time? There are 2 answers to this question depending on whether you’re talking about the first layers of the under-painting or the very final diluted top layers known as glazes. If the under-painting layer is diluted with water, we know it will adhere to the support if the support is absorbent enough – once it’s absorbed, it stays absorbed. For the later stages of the painting, some artists including myself like to apply a thin layer of paint known as a glaze to optically change the paint colour underneath. The underlying paint layer is already dry when the glaze is applied, so it will sit on top of a built up, relatively shiny surface. To remedy the paint adhering to the canvas for these later stages of a painting, I dilute the acrylics with a medium called Acrylic Glazing Liquid Gloss rather than water. This ensures the diluted pigment will hold in a paint film, creating a layer of paint than ‘holds together’ rather than separating. 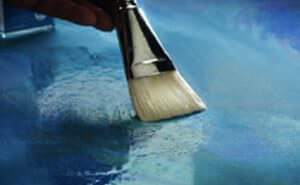 Acrylic Glazing Liquid can be blended with paints in any desired amount. Adding small amounts (approx. 25%) to paints will increase brushability. Adding 1 part paint to 10 parts Acrylic Glazing Liquid produces transparent glazes with excellent open times. I received a reply from Golden Paints technical support team regarding the thinning of acrylic paints, I’ve posted it below as I often demonstrate with Golden Paints and hope it helps put your mind at rest. To add even a little more comfort beyond that, we can share that the adhesion onto Plexiglas remained solid even when thinning with one part paint to two parts water, or a 1:2 ratio. Which would feel like a fairly fluid wash for most people. As you can see, the concerns around thinning with water can often be over stated, especially if using our Heavy Body or Fluid Acrylics and keeping the ratio to 1:1 or less. And even then, one can usually get away with going even further. However, because every application can be unique, one can always do an easy test to make sure there are no problems. To do this create a test piece with a similar surface that you want to test, then apply a few different colors both at full strength and then at 2:1, 1:1, 1:2, and 1:3 ratios of paint to water. At this point we typically test for adhesion at 24 hrs, 3 days, 1 week, and 2 weeks. If the paint passes the adhesion test at, say, 3 days, there is rarely a need to continue testing out further. A simpler, more down and dirty test, can be done scoring the paint with an “X” using an X-Acto blade, then apply masking tape over the center, burnish, then lift. In both cases you are seeing if the paint comes off. If not, then you have very good adhesion and no reason to believe that adhesion will lessen over time. You can also try rubbing the film with a wet Q-Tip to see if you get color lift, which can be another sign of an underbound film. Please note: Even though our Heavy Body and Fluid Acrylics are quite robust, when it comes to thinning, there are some products where we do recommend a lower level of water, such as our Acrylic Gesso which should not be thinned with more than 20% water, or our OPEN acrylics where we recommend a limit of two parts paint to one part water, or a 2:1 ratio. And of course we cannot comment about safe levels for thinning paints from other manufacturers. What if you want to paint really thinly with acrylics for the entire painting process? If you want to paint really thinly with Acrylics, it’s best to use an Acrylic that has already been diluted in the paint manufacturing process. Fluid Acrylics are highly intense, permanent acrylic colors with a consistency similar to heavy cream. They offer very strong colors with a fluid consistency. These acrylics were previously known as ‘airbrush acrylics’ and have an ink-like consistency. If wanting to thin the paint even further, try using GOLDEN Airbrush Transparent Extender which has a consistency close to water. Alternatively, our Polymer Medium, Fluid Matte Medium, Acrylic Glazing Liquid, or GAC 500, to name a few, could be used to thin a thicker acrylic, as well as blended with water. For example, a 1:1 blend of GAC 100 or GAC 500 and water, then used for thinning acrylics, should allow you to safely thin the paints for application onto most canvas and panel surfaces since you will always be bringing in additional binder into the system. We hope this helps. Thinning of acrylics is an often misunderstood area, but it is always good to ask if you have doubts or concerns.And of course, if there is anything else we can do, just ask! Very nice website and some of the clearest and best instruction I have seen in over 25 years (on an off ) of pen and ink sketching, watercolors, gouache … and now, after a 20 year lapse, once again interest in acrylic . Lovely to hear from you and thanks for your kind words about the website. It’s great to hear the instructions are clear and easy to understand. Hope your interest in Acrylics has been fired up! Hello Will, thank you for this opportunity, can’t wait to get started!!! I used to do a lot of drawing, sketching, painting on just about anything I could find. Had work chosen for exhibitions and was top in design and music, but always so busy. Had 9 children have now 17 grandchildren and 2 great-grandchildren. My job is done and I am running away to be able to pick up my brushes and start again. I also want to write, but don’t know how to do it either.I think I will benefit from the knowledge you will share in your courses!!! Thank You Will. Great to hear it Mariam, sounds like you’ve been kept busy! Great to find and experienced painter with a really nice way of communicating the important stuff. I have a question. I’ve been painting in watercolor for a bit now but want to give a go at acrylics. Is it worth the effort to put gesso ground on the textured side of a piece of Masonite and use that for a “canvas”.?. What does it mean when they say an old master or later master did such and such a painting on “board”? What does it mean when they say an old master or later master did such and such a painting on “board”? Painting surfaces can be split into two categories, Rigid and flexible. Acrylic paint can be applied to either because on the inherent flexibility of acrylics. Rigid – panel or board (Masonite, MDF, Plywood, Wood) Originally the Old Masters used hard woods to make panels but nowadays most artists use machine made board for greater stability. 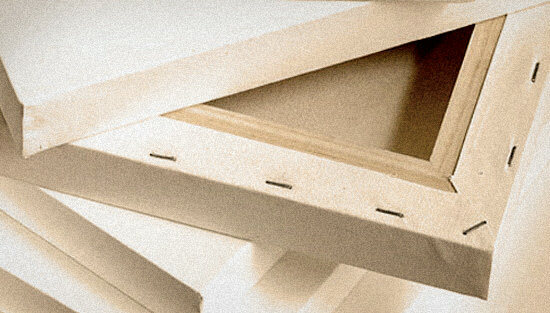 Masonite falls into this category and cannot split down the grain as it has none, so perfect for painting on. Traditionally board or any inflexible surface would be prepared with lots of thin layers of Gesso, providing a perfect bonding between the paint and the support. I personally would prepare and paint on the smooth side of your Masonite board but add texture with the Gesso layers. I want to thank you for your helpful hints, and how generous of you to share this with others. You’re welcome Alleen. So glad you are enjoying the tutorials. I am amazed at your talent, and again, thank you for your generosity! I don’t have any trouble with paintings except for figures. I always have to do them over about 10 times, and always use the color blue for the clothing…also, can only put them in landscapes with their backs showing, never with them facing forward, , or it would look like a spooky caricature. Have you published any books on how to draw people? If not, it would be great if you did. Hi Alleen, pleased to hear you’re enjoying the site, at the moment I don’t have any specific books on how to draw people, but thanks for your suggestion. Wow. Just found your Impressionistic painting video tutorials on YouTube and subscribed to your newsletter/updates. Will, you really have taught me a lot even in one day, about acrylics, using colored grounds, color strings, etc. I am painting in acrylics on birch hardwood plywood, as well as stretched canvas. Is there some special way I should treat the wood? I’ve been gessoing it before I paint it with acrylics. Do you apply any kind of protective coating to your paintings after they are finished? My dad who is almost 90 is a fine artist painting in oils, so I have lots of inspiration and creativity running in my family, but I need to gain experience and develop the skills and techniques of acrylic painting. Thank you for sharing your training and expertise to educate those of us who are just starting out. Thanks for the message, really pleased that you have been learning lots on the site. Your dad sounds like a great inspiration to have to hand! When working on wooden boards I often add a coat of gesso to the edges and back of the board. With the plywood this isn’t essential but if you ever paint on MDF it helps to ‘seal’ the edges and back to prevent warping of the board. After I finish an acrylic painting I add an isolation coat. Will, I’m going to make a book for a child. Am practising drawing. May just use pencil crayon, but might like to use paint. I have no painting experience at all, except for making splotches on paper that says it’s for acrylic but when I put even the slightest brush swish of paint on, it warps the paper. What would you do? Hi Cathy, it depends on the thickness of your paper ane the type of paper you’re using. It would be advisable to try with some watercolour paper, as this is designed to absorb the water. However, even with this, the paper will warp if excess water is used unless it is quite thick, and this might not be appropriate for your book. It is best to get a few different types of paper cartidge, watercolour etc and have a play until you find the paper that is the right balance between thickness and absorbancy for the style of paint application you’re after. Is it the right choice to use paper when I’m still an absolute beginner ( I don’t want to waste money on expensive canvasses when I have zero experience), or will it only keep me from truly appreciating the joys of painting because it doesn’t come to its full potential due to the wrong material? Painting on a canvas is definitely a different experience than working on paper, personally, I would create a few more practice pieces on paper or board and then I would invest in a small canvas (under £5) and give it a go, this really is the only way to really experience the difference. Hi Will! I am learning to paint with acrylics and was wondering what kind of paper you would suggest for acrylic painting. Also, do you have any painting books that you would suggest to a beginner? Thanks! You can use any paper as long as it has a good weight to it, so about 340gsm. Watercolour paper is good for a textured finish or Bristol board can give you more of a smooth finish, it’s a personal choice. Most of the painting books I recommend are for Oil painting, I originally started the blog to give advice on a more classical approach to Acrylic painting. 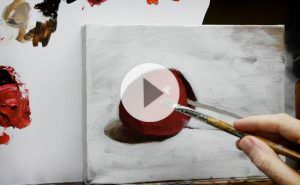 Have you checked out my step-by-step free video lessons for beginners, have a look as they can be a great way of understanding the concepts of painting with acrylics. Hi! Thanks so much for the suggestions! I’ll be sure to try them out. I have watched the videos and have found them immensely helpful. However, sometimes it’s nice to have a book to hold and underline and the like. I guess I’m a little old fashioned. :) Thank you again! If I use watercolor paper, would I still put on a yellow ochre undercoat? Do I take the same approach to painting with acrylic on paper as on canvas? Thank you so much for your help. You are a life saver! Hi Gabby, with watercolour paper it depends on the effect you’re after, as sometimes the white of the paper can be very effective if you’re painting an atmospheric sky, but if you are painting a more impasto acrylic painting the principles will work the same if you paint on paper, board or canvas. i just fall in love with your paintings and the simple techniques of brilliant arts..just couldn’t wait to start painting..you are superb Will. Very kind of you to say so Amanna, pleased you’re enjoying the tutorials. Thanks Maria, hope you’re enjoying the lessons. I can’t find an answer to my query, but apologies if you have already answered this elsewhere. 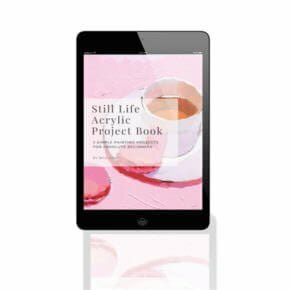 When preparing a hardboard panel for an acrylic painting, do I need to apply a shellac primer first? I read somewhere that I need to apply GAC100 to avoid SID, so I bought this and was going to apply 2 coats, after sanding, prior to 3 coats of acrylic gesso. However, I’ve since read that a shellac or polyurethane primer should be applied before the GAC100. What would you advise please? The GAC100 can be used to prevent discolouration coming from the support, in your case hardboard panel. So I would apply the GAC100 first, then apply a couple of coats of acrylic gesso. This will give you a more absorbent surface to paint onto, rather than having the GAC100 on top of your primer. Yes thanks Will, that is very helpful. I’ve done it, it’s really smooth. You’re welcome Lindsey, so pleased it helped. For my acrylic painting… Can I seal MDF board just with shellac then add one coat of acrylic gesso on it? What I have is Zinsser Bulls Eye Shellac. Hi Thad, I personally haven’t use Shellac as a seal for MDF for painting onto. I would usually use a acrylic medium, such as Golden GAC 100 if I wanted to seal the MDF. Usually I apply the acrylic gesso straight to the surface. Hello Will, I am a new member on your website and just for your information, it’s been helping alot. Anyways I just wanted to say that i’m a beginner painter and have worked with black and white for very long, so i decided to find something new, painting was the number 1 solution and I think that you will help me in that. Great to hear you’ve been finding the article helpful Zohair, great to have you on board! I’m about to do the first painting in your Colour Theory course. How do you think illustration boards compare to all the supports you mentioned. They are cheaper than canvas or other supports, take acrylics great, so what would be the reason for NOT using them? thank you, and I love the course, it’s amazing! Hi Aude, illustration boards are ok, but they won’t handle wet washes as well or ‘pull’ the paint from the brush like a canvas can. They can be great for experimenting with new techniques rather than painting on a more expensive canvas. Try a couple and see if they work for your style. Pleased you’re enjoying the course. I’m wondering what your thoughts are on using canvas paper by Daler Rowney. I expect that many of my initial paintings will be monstrosities and I’m hesitant to use proper canvas until I feel more confident. Would canvas paper would be a more cost and space effective alternative? Thanks for your awesome and informative series! Hi Kristen, using canvas paper is okay, but you won’t be able to wet it as much as normal canvas, which can lead to buckling of the paper if you are using watery layers. However, if you are applying quite stiff paint it can be a cost effective way of getting painting without becoming too precious about the results. Great site ! Good coverage of topics with detailed information …. amazing ! I recently started painting in acrylics. I paint on watercolor paper- 140 lb. I wanted to know if it is required to wet the paper before painting. The paint dries out very quickly and it is quite frustrating. Even if I use soft gel medium,the color on paper dries out. Should I water spray the paper area, just before applying color on it ? Also , how to maintain balance between medium and water. I am always worried that the paint will dry out on the brush, so I keep inserting my brush in water. I do dry the brush again with a kitchen roll. But sometimes, the water from the brush,ruins the color. Any suggestions on these two questions ? Please keep positing free tutorials.. really helps ! Hi Bhagyashri, pleased you’re finding the article helpful in your painting. You don’t need to wet the paper first this will just cause the paper to buckle, acrylics do dry very quick, so you do have to keep the brush cleaned in the water. The paper absorbs the moisture from the paint and they dry out very quickly. To help me paint smoothly on paper, do I need to apply coats of gesso to the watercolor paper ? I have read that people do apply …like 3 coats of gesso , before they actually start painting. its like kind of, getting the porous material ready for acrylic painting. Does that really help ? Hi Bhagyashri, it will kinda slow down the drying as it is less absorbent than paper, but is still designed to absorb the paint. I’ve spent a lot of my Christmas hols watching your videos and absorbing everything like a sponge…which is a testament to the effort you’ve put in! Thanks for the great videos! I’ve noticed that you often paint on MDF board. You mention this is better for palette knife painting because of the resistance you get when working on the harder surface, but I wondered if it has any other advantages over stretched canvas? Also I wanted to ask if you make the boards yourself or if you purchase them ready made? Any particular reason for MDF or can you get many different surfaces for boards? Hi Tony, the difference in the support often varies depending on the aesthetic effect you’re after, if you want a smooth brushstroke free surface board can work well, whereas if you want to add texture and broken colour effects a rough canvas would work better. You can purchase pre-primed MDF boards such as these from Ampersand, but by making them yourself you have a better control over the surface quality/absorption of the gesso surface. Thanks for the reply. I wonder if plywood would work as well? This might sound like a strange question but when it comes to framing your artwork I’m guessing the thickness of the board is important to fit in the frame? What thickness MDF do you go for? Hi Tony, yes plywood would also work, depending on the type of framing you’re going for it can be a consideration on the thickness of the board, I tend to go for a 6mm or 9mm, but smaller pieces on a 3mm will also work, you just have to be aware of the flex in the board. For larger pieces you can also add braces to the back of the board for a more rigid support. You can see here an example of a cradled board, the top board is only thin but has the rigigity from the frame cradle, these boards can also be hung like a box canvas, without framing. Hi Tony, I often paint on MDF board. Hi Will! I discovered your website at 11pm last night and it was 3am when I went to bed! Excellent videos, tuition and information. Thanks for sharing all this. I’m about to have a go with acrylics and am going to use canvas board. What I would like to know is, can I use masking tape on this board, and can I put masking tape onto dried acrylic paint without any ill effects? Hi Steve, thanks very much, pleased you’ve been finding the lessons helpful, yes you can use masking tape onto canvas board, and you can also put masking tape onto acrylic. Sometimes the masking tape wont stick aswell ontop of the acrylic (depending on brand and thickness of acrylic) but its fine to mask ontop. Hi Will, I’ve made a start with the acrylics and I’ve tried using masking tape to no avail. The paint seeps under the tape. However, Hashim Akib suggested using Magic Tape from W.H.Smith and this works a treat! Neat edges, no seapage, give it a go! Hi Steve, pleased you’ve found the Magic tape works well, I use Frog Tape if I’m after a super clean edge, very good for impressive skirting boards as well! Hi Shelly, I haven’t personally tested any of the varnishes and sprays I use to check their water resistance. A spray varnish could work due to being able to slowly build up the layers and even coverage onto the shells. You might find spray designed for waterproofing fabrics/shoes might be more suitable as they are designed to repel water. Hello Will…I have use the spray on Rust-oleum Gloss Clear to cover the painting I did on my large oyster shell and it seems to have worked perfectly! It is fast drying, non-yellowing and has UV protection. Hi Shelley, oh that’s brilliant to hear, sounds the perfect varnish for them, thanks for sharing your finds. I have bought an lyre easel which I now find I need. What is the best place to have it in relationship to painting with all kinds of mediums. If you know New Zealand – our natural light can be very strong. Pleased to hear it, pass on my thanks to your mentor at the Learning Connexion. Hi Cathy, nice to hear from, when you say ‘What is the best place to have it in relationship to painting with all kinds of mediums.’ is this in relation to studio position? I meant in relationship to light basically – but then I also asked my mentor and she basically said “sometimes when you begin, you just have to do the best with what you have”. What I wanted in place/space turned out to not doable because the ceiling was too low – I moved to room that is currently my workroom (old dining room) where the best place also turned out to be difficult; the potential to fall down the internal stairs – so then I just put it against a space wall opposite the small series of windows AND actually it is working very well there. Good one Cathy, pleased you’ve found a good space to work within and standing back from the canvas can make such a difference in your work. I love my easel, okay it’s not actually creating the paint works, but it has made such a difference – I find myself on paint days, painting and painting and more painting :-) I’m getting better at colour mixing and it starting to impress my mentor! Pleased your easel is working out well Cathy. Hi, Will. I am an absolute novice painter and enjoyed your videos on YouTube, so I enrolled in your beginner’s acrylic course. I just completed the final project and have learned so much along the way! You’ve answered many of the questions that have plagued me since I began this journey! Thank you for the clear, explicit, and calm approach in your lessons. I look forward to doing another class. Hi Joan, great to hear it and so pleased you found the beginners course helped to answer the missing links! if you have time would love to see your finished paintings, just drop me an email with them attached on the contact page. I have been painting with acrylics for some time but it always felt a bit hit and miss. Having absorbed your tutorials and website information I now feel I know what processes to follow to get from beginning to end. Studied at local college to HNC level but no one told us anything about different transparencies, pigments, hues which makes such a difference. I have not come across anything so clear and informative in any other book or tutorial. Thank you so much for enabling me to know that I can really do this. You are a great teacher and very generous with your knowledge. Thanks very much Ruth, really pleased you’ve been finding the lessons helpful. Greetings Will. You have been a great help for beginners like me. I haven’t started anything yet but i have been doing a lot of homework and your website is just magnificent to say the least. One stop for all the questions i may have/had as a beginner. thank you so much. I don’t have any specific questions as yet but i will have them very soon. again, Thank you so much for sharing all this. Really admire it. Cheers Mansoor, hope the website helps with your journey into painting. Question on surfaces, (I’m sure you have already covered it. I am a wood worker and have access in my shop to many types of plywood, Masonite, panel, MDF, etc. I probably would like to paint on stretched canvas (haven’t tried yet). But I have so many other cheaper resources, I’m not sure what to go with. Do I just put gesso on any of those surfaces. Do I glue canvas or linen to a substrate. Do I stretch my own. What would be your top three choices be for maybe price, access and best or good working surfaces. Hi Ron, pleased you’ve been enjoying the site. Each different surface gives a different feel and handling properties to the paint and its often best to try a few and see which you prefer. I would start with a ‘pre-stretched’ canvas just to get the feel and then if you like that you could have a go at stretching your own. You can also glue canvas to board, or gesso Masonite and paint straight onto that. For price, MDF is good and gives a nice smooth surface. If you’re painting with acrylics you can paint a couple of coats of acrylic gesso and you’ll be away. I really enjoy your website and online courses.you are great tutor. Hi Agnieszka, the wood will absorb more of the paint on its own but with a good primed surface with the gesso is should still go on smooth without soaking into the wood. You can also try a wood primer that will give you a good surface to paint onto. Thanks for being there. Kinda new to acrylics, but diving in. I put Daniel Smith gesso, (two coats) on some sanded smooth plywood and am starting a color board of the colors I have. It seems that it often takes two or three coats of direct from the tube paint (Daniel smith and M. Graham) to cover the the blocks of color, there are a lot of brush lines. Is this usual for acrylics? Is it the gesso? Is it the brush I am using (natural bristle)? Would canvas be different? Hey Ron, nice to hear from you, the coverage of the paint is down to the pigments used in the paints. For example, student grade paints will take more layers than artist quality, and yellows will take more layers than a dark blue. Daniel Smith & M.Graham are both good brands. Also, the smoother the surface and the softer the brush the smoother the finish and the fewer brushmarks. You Rock Will! Thank you so much. You are truly a teacher! Thanks very much Lea, very kind of you to say so! Thank you so much for this easy to understand, step by step, instruction for painting with acrylic paints. I started as a self-taught watercolorist, progressed to oils but had to stop due to fumes from the mediums, and moved on to acrylics. Again, I am self-taught and your tips and information about acrylics is awesome! I appreciate the time and effort you spent in constructing your tips and will refer to them often as I move along. Thank you again. Re the ampersand artist panels I really like them but I notice you didn’t say specifically what to do with them? You just mentioned they are smooth? I notice they do a specific smooth one and also a canvassy type one, should we not paint directly onto them? 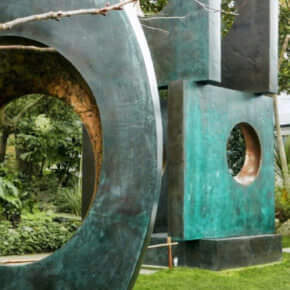 Hi Brendan, you can paint straight onto the Ampersand panels. Hi, I am seeking your advice in relation to a unique problem I have experienced with the use of acrylic paints. When attempting to cover an area with acrylic, the early paint layers are well absorbed, and there is also good paint flow on the surface. However, after full coverage, I have often noticed the appearance of dull brush marks upon drying. It seems as though the final coat of paint had been somewhat ‘rejected’ by the earlier layers. It is also very difficult to create smooth glazes on such a surface by using the ‘wet on dry’ method; you also leave brush marks behind. All this usually happens when there are enough layers to cover the tooth of the canvas. According to what I have read on your website, acrylic paint can create a hard shiny surface unsuitable for painting. It would seem as though there is some barrier to the paint being properly absorbed by the canvas or other surface being used. To deal with this problem, I have decided to: 1) Limit the amount of layers applied. 2) Paint using thin coats. 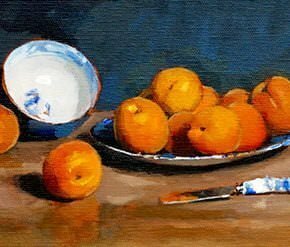 3) Use a style similar to oil painting and using a ‘wet on wet’ technique in place of glazing. I would like to hear from you concerning this issue. Thanks in advance. Yes, this can be a common occurrence with acrylics depending on the brand you’re using, the colour and the amount of water dilution you’ve used with the paint. Have you tried using an Acrylic Glazing Liquid? this can be great to apply thin layers of paint that adhere to the surface, maintain a good paint film integrity and give you more working time. Many times during the last four years I have returned to your marvelous website for inspiration and new knowledge. “Water-Down Heavy Body Acrylics” was eureka. As a chemist, at last I understand what all is about using acrylic paints. Thanks Will! Good one Inger, really pleased it helped. Hi Will-love you coherent explanations. I am doing an acrylic painting on canvas showing plant leaves with colors that graduate from yellow to dark greens and greenish browns. I’m using Golden Open acrylics along with some older Golden regular and Heavy Body acrylics. I can’t seem to produce smooth transitions from the light colors to the darker ones (e.g., shadows). I can see the brush strokes If I paint a line or area in a medium or dark color then change my mind and want to paint over it, I can still see it under the new layer. How can I solve these problems? Thanks so much! Hi Lynn, great to hear from you and pleased you’ve been enjoying the articles. If you prepare a ‘colour string’, which is a collection of pre-mixed colours from light to dark of the green before you start the painting, then you’ll be able to mix the colours more easily. See how you get on and if you need more guidance, have a look at the floral still life course which focuses on how to mix and match warm and cool greens for the flowers.